Last updated 12 January 2015. Users can access the Ubookr application (the “Application”) through our website www.ubookr.com, subdomain (*.ubookr.com), through applications on devices, through APIs, and through third-parties. A “Device” is any computer used to access the Ubookr Application, including without limitation a desktop, laptop, mobile phone, tablet, or other consumer electronic device. 1. Information you provide, how we collect & store it. Ubookr will collect and store certain personal information in order for you to obtain the best use of the Application. When you register an account as a business or as a general user, we may collect and store personal information, such as your name, phone number, billing information, email address and business postal addresses. In addition, if you choose to upload a profile photo this will also be stored. You may also ask us to import your contacts by giving us access to your third party services (for example, your contacts list) or to use your social networking information if you give us access to your account on social network connection services. When you invite others to join your Ubookr account, we send them email invitations. We may also receive Personal Information (for example, your email address) through other users, if they have invited you to their Ubookr account. Files - We collect and store any files you upload, download, or create (records) within the Ubookr Application. These may include links to documents held outside the Ubookr application, photo images captured by the Ubookr application or direct entries into the Ubookr applications. Log Data - When you use the Application, we automatically record information from your Device, its software, and your activity using the Services. This may include the Device’s Internet Protocol (“IP”) address, browser type, the web page visited before you came to our website, information you search for on our website, locale preferences, identification numbers associated with your Devices, your mobile carrier, date and time stamps associated with transactions, system configuration information, metadata concerning your Files, and other interactions with the Service. Cookies - We also use “cookies” to collect information and improve our Services. A cookie is a small data file that we transfer to your Device. We may use “persistent cookies” to save your registration ID and login password for future logins to the Service. We may use “session ID cookies” to enable certain features of the Service, to better understand how you interact with the Service and to monitor aggregate usage and web traffic routing on the Service. You can instruct your browser, by changing its options, to stop accepting cookies or to prompt you before accepting a cookie from the websites you visit. If you do not accept cookies, however, you may not be able to use all aspects of the Application. Contacts lists - We may ask for access to your devices’ contacts list, if granted we may use this information to optimise your experience by storing your contacts data on our servers and using this information to periodically reference other users you may know. When an existing relationship is established we will notify you that a person you know is using the Ubookr system. We will not use your contacts list for advertising or disclose it to any third parties. Any Personal information as outlined above will be stored within the Ubookr application or on Ubookr’s external servers. To allow you access to the Application, to personalise and improve your experience and to provide you with software updates and product announcements. Geo-Location Information - Some Devices allow applications to access real-time location-based information (for example, GPS). We may use this information to optimise your experience. Also, some of the information we collect from a Device, for example IP address, can be used to approximate a Device’s location. Analytics - Information captured (log data) may be used analytically to understand the user statistics of the Application with the view of improving the Application. Contacts - To allow us to establish your existing business relationships we may ask for access to your devices’ contacts list, if granted we may use this information to optimise your experience. Your right to privacy is always utmost in our mind. We do not sell your personal information to third parties. We may use the information we collect and store in a statistical way in order to optimise your usage of the Ubookr application from time to time, as outlined above. Your Use - We will display your Personal Information in your profile page, this may be accessed by other persons to whom you are connected within your organisation and organisations seeking new service providers within your industry and geographical location. We may share or disclose your information with your consent, for example if you use a third party application to access your account (see below). Compliance with Laws and Law Enforcement Requests; Protection of ubookr.com’s Rights - We may disclose to parties outside Ubookr, files stored in your Application and information about you that we collect when we have a good faith belief that disclosure is reasonably necessary to (a) comply with a law, regulation or compulsory legal request; or (b) to protect Ubookr’s property rights. If we provide your Ubookr files to a law enforcement agency as set forth above, we will remove Ubookr’s encryption from the files before providing them to law enforcement. Non-private or Non-Personal Information - We may disclose your non-private, aggregated, or otherwise non-personal information, such as usage statistics of our Service. We will retain your information for as long as your account is active or as needed to provide you services. If you wish to cancel your account or request that we no longer use your information to provide you services, you may contact us via info@ubookr.com. We may retain and use your information as necessary to comply with our legal obligations, resolve disputes, and enforce our agreements. Consistent with these requirements, we will try to delete your information quickly upon request and if desired make it available to you. Please note, however, that there might be latency in deleting information from our servers and backed-up versions might exist after deletion. In addition, we do not delete from our servers files that you have in common with other users. We shall not delete or edit your stored information without a direct request from the holder of the data, if we do receive a request by a single person that is not a business owner, we shall direct that single person to the organisation they belong to, so that the request can be validated and then forwarded to Ubookr for action. Ubookr has taken strong measures to protect the security of your information against data loss, misuse, unauthorised access or disclosure and destruction.When you enter sensitive information (such as a credit card number) on our payment pages, we encrypt the transmission of that information using secure socket layer technology (SSL) which is PCI DSS compliant. If you would like further information on your privacy and personal information that we store, collect or use, please contact us If you have a concern or dispute regarding this policy, these privacy terms or the personal information we store, collect or use, please contact us. Please outline to us your concerns and or dispute and our legal team or Ubookr representative will be in touch to discuss the matter. UBOOKR PTY LTD (UBOOKR) PROVIDES THIS WEB SITE AND ITS ONLINE APPLICATIONS, INCLUDING APPOINTMENT SCHEDULING, TASK MANAGEMENT, JOB QUOTING, ROUTING, NOTIFICATIONS AND COMMUNICATIONS TO USERS. ACCESS TO AND USE BY YOU OF THE SITE IS SUBJECT TO THESE TERMS AND CONDITIONS OF USE (TERMS). YOU AGREE AND ACKNOWLEDGE THAT ANY ACCESS OR USE BY YOU AND/OR ANYONE ACCESSING THE SITE WITH OR THROUGH YOU (YOU) WILL CONSTITUTE AN EXPRESS AGREEMENT BY YOU TO COMPLY WITH THE TERMS. IGNORANCE BY YOU OF THE EXISTENCE OF THE TERMS DOES NOT CONSTITUTE A WAIVER OF ANY PROVISIONS CONTAINED IN THE TERMS AND IF YOU CHOOSE NOT TO ACCEPT THE TERMS YOU ARE NOT TO CONTINUE ACCESSING THE SITE. THE TERMS (TOGETHER WITH ANY APPLICABLE SUBSCRIPTION AGREEMENT REFERRED TO BELOW) CONSTITUTE THE ENTIRETY OF THE TERMS AND CONDITIONS OF USE WITH RESPECT TO THE SITE UNLESS OTHERWISE EXPRESSLY ALLOWED FOR IN WRITING BY UBOOKR. Ubookr reserves the right to vary any of the Terms, or any other policy or guideline of the Site, at any time and in its sole discretion and without notice to you. Unless otherwise specified in writing by Ubookr, any changes or modifications to the Terms will be effective immediately upon publication on the Site. You hereby agree to review the Terms and any other policies and guidelines contained in the Site periodically to be aware of any variations to the Terms and furthermore you acknowledge that any use by you of the Site constitutes an agreement by you to use the Site pursuant to the Terms as amended or varied from time to time. If you do not agree to any amended terms, you must stop using the Site. The Terms apply to your access to and use of the Site. For companies or individuals who have subscribed for a free or paid subscription to the Site, the Ubookr Subscription Agreement (Subscription Agreement) also applies to each of them and constitutes a separate agreement between Ubookr and each such company or individual. All persons who access and use the Site, however, must comply with these Terms (regardless of whether they must also comply with the Subscription Agreement). You acknowledge that certain functions or features of the Site require a subscription (which may be a paid subscription or a free subscription) and unless you, or the administrator of a company or business network that you are a member of, have entered into and complied with the obligations of a subscriber under the Subscription Agreement, you will not be able to access or use those functions or features. Except as otherwise expressly indicated by Ubookr in writing, the Site, and all text, images, marks, logos and other content contained in the Site, including, without limitation, the Ubookr logo and all designs, text, graphics, pictures, information, data, software, sound files, other files and the selection and arrangement thereof (collectively, the Content) and all intellectual property in respect of the Content is and remains the property of Ubookr or its related entities (as defined in the Corporations Act (Commonwealth) 2001) or licensors and are protected by Australian and international copyright laws. Ubookr, the “Ubookr” logo and all other product or service names or slogans displayed on the Site are registered and/or common law trademarks of Ubookr and/or its related entities, suppliers or licensors, and may not be copied, imitated or used in a same or deceptively similar fashion, in whole or in part, without the prior written permission of Ubookr or the applicable trademark owner. In addition, the look and feel of the Site, including all page headers, custom graphics, button icons and scripts, is the service mark, trademark and/or trade dress of Ubookr and may not be copied, imitated or used, in a same or deceptively similar fashion, in whole or in part, without the prior written permission of Ubookr. All other trademarks, registered trademarks, product names and company names or logos mentioned in the Site are the property of their respective owners. Reference to any products, services, processes or other information, by trade name, trademark, manufacturer, supplier or otherwise does not constitute or imply endorsement, sponsorship or recommendation thereof by Ubookr. You are granted a limited, non-exclusive right to create a text hyperlink to the Site for non-commercial purposes, provided such link does not portray Ubookr or any of its products or services in a false, misleading, derogatory or otherwise defamatory manner and provided further that the linking site does not contain any adult or illegal material or any material that is offensive, harassing or otherwise objectionable. This limited right may be revoked at any time. You may not use a Ubookr logo or other proprietary graphic of Ubookr to link to the Site without the express written permission of Ubookr. Further, you may not use, frame or utilise framing techniques to enclose any Ubookr owned trademark, logo or other proprietary information, including the images found at the Site, the content of any text or the layout/design of any page or form contained on a page on the Site without Ubookr’s express written consent. Except as noted above, you are not conveyed any right or licence or under any patent, trademark, copyright or proprietary right of Ubookr or any third party. Nothing contained on the Site may be construed as granting any license or right to use any patent, trademark, copyright or other proprietary right of Ubookr or any third party without the prior written permission of Ubookr or such other party that may own such patent, trademark, copyright or other proprietary right(s).The Site may contain links to third-party Web sites (Third Party Sites) and third-party content (Third Party Content) as a service to those interested in this information. You use links to Third Party Sites, and any Third Party Content therein, at your own risk. Ubookr does not monitor or have any control over, and makes no claim or representation regarding, Third Party Content or Third-Party Sites. Ubookr provides these links only as a convenience, and a link to a Third Party Site or Third Party Content does not imply Ubookr’s endorsement, adoption or sponsorship of, or affiliation with, such Third Party Site or Third Party Content. Ubookr accepts no responsibility for reviewing changes or updates to, or the quality, content, policies, nature or reliability of, Third Party Content, Third Party Sites, or Web sites linking to the Site. When you leave the Site, our terms and policies no longer govern. You should review applicable terms and policies, including privacy and data gathering practices, of any Third Party Site, and should make whatever investigation you feel necessary or appropriate before proceeding with any transaction with any third party. By posting or distributing Content to or through the Site, unless we indicate otherwise, you (a) grant Ubookr and its affiliates a nonexclusive, royalty-free, perpetual, transferable, irrevocable and fully sub licensable right to use, reproduce, modify, adapt, translate, distribute, publish, create derivative works from and publicly display and perform such Content throughout the world in any media, now known or hereafter devised; (b) grant Ubookr and its affiliates and sublicensees the right to use the name that you submit in connection with such Content, if they choose; and (c) represent and warrant that (i) you own and control all of the rights to the Content that you post or otherwise distribute, or you otherwise have the lawful right to post and distribute such Content to or through the Site; (ii) such Content is accurate and not misleading; and (iii) use and posting or other transmission of such Content does not violate these Site Terms and will not violate any rights of or cause injury to any person or entity. You further grant Ubookr the right to pursue at law any person or entity that violates your or Ubookr’s rights in the Content by a breach of these Site Terms.Content submitted by users will be considered non-confidential and Ubookr is under no obligation to treat such Content as proprietary information. Without limiting the foregoing, Ubookr reserves the right to use the Content as it deems appropriate, including, without limitation, deleting, editing, modifying, rejecting, or refusing to post it. Ubookr is under no obligation to offer you any payment for Content that you submit or the opportunity to edit, delete or otherwise modify Content once the it has been submitted to the Site. Ubookr shall have no duty to attribute authorship of Content to you, and shall not be obligated to enforce any form of attribution by third parties.If it is determined that you retain moral rights (including rights of attribution or integrity) in the Content, you hereby declare that (a) you do not require that any personally identifying information be used in connection with the Content, or any derivative works of or upgrades or updates thereto; (b) you have no objection to the publication, use, modification, deletion and exploitation of the Content by Ubookr or its licensees, successors and assigns; (c) you forever waive and agree not to claim or assert any entitlement to any and all moral rights of an author in any of the Content; and (d) you forever release Ubookr, and its licensees, successors and assigns, from any claims that you could otherwise assert against Ubookr by virtue of any such moral rights. 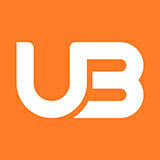 Ubookr may run advertisements and promotions from third parties on the Site. Your business dealings or correspondence with, or participation in promotions of, advertisers other than Ubookr, and any terms, conditions, warranties or representations associated with such dealings, are solely between you and such third party. Ubookr is not responsible or liable for any loss or damage of any sort incurred as the result of any such dealings or as the result of the presence of third-party advertisers on the Site. Ubookr may provide links to other web sites. Some of these web sites may charge separate fees. Ubookr may also provide access to or through third party vendors, who provide content, goods and or services on the Site, the Internet or via wireless. Any separate charges or obligations you incur in your dealings with these third parties are your responsibility.If you enter into a Subscription Agreement with Ubookr, you will also be responsible for any fees or charges payable to Ubookr under that Subscription Agreement. Include the following statement: “I have a good faith belief that the material that is claimed as copyright infringement is not authorised by the copyright owner, its agent, or the law.”Include the following statement: “I swear, under penalty of perjury, that the information in the notification is accurate and I am the copyright owner, or am authorised to act on behalf of the owner, of an exclusive right that is allegedly infringed. You agree to (a) provide accurate, current and complete information about you as may be prompted by any registration forms on the Site (Registration Data); (b) maintain the security of your password; (c) maintain and promptly update the Registration Data, and any other information you provide to Ubookr, and to keep it accurate, current and complete; and (d) accept all risks of unauthorised access to the Registration Data and any other information you provide to Ubookr. EXCEPT AS EXPRESSLY PROVIDED TO THE CONTRARY IN A WRITING BY UBOOKR, THE SITE, THE MATERIALS CONTAINED THEREIN AND THE SERVICES PROVIDED ON OR IN CONNECTION THEREWITH (THE “SERVICES”) ARE PROVIDED ON AN “AS IS” BASIS WITHOUT WARRANTIES OF ANY KIND, EITHER EXPRESS OR IMPLIED. UBOOKR EXPRESSLY DISCLAIMS ALL OTHER WARRANTIES, EXPRESS OR IMPLIED, INCLUDING WITHOUT LIMITATION IMPLIED WARRANTIES OF MERCHANTABILITY, FITNESS FOR A PARTICULAR PURPOSE, TITLE AND NON-INFRINGEMENT AS TO THE SERVICES, INFORMATION, CONTENT AND MATERIALS ON THE SITE. UBOOKR DOES NOT REPRESENT OR WARRANT THAT MATERIALS IN THE SITE OR THE SERVICES ARE ACCURATE, COMPLETE, RELIABLE, CURRENT OR ERROR-FREE, AND EXPRESSLY DISCLAIMS ANY WARRANTY OR REPRESENTATION AS TO THE ACCURACY OR PROPRIETARY CHARACTER OF THE SITE, THE SITE CONTENT OR ANY PORTION THEREOF. UBOOKR IS NOT RESPONSIBLE FOR TYPOGRAPHICAL ERRORS OR OMISSIONS RELATING TO PRICING, TEXT OR IMAGERY. WHILE UBOOKR ATTEMPTS TO MAKE YOUR ACCESS TO AND USE OF THE SITE AND THE SERVICES SAFE, UBOOKR CANNOT AND DOES NOT REPRESENT OR WARRANT THAT THE SITE OR ITS SERVER(S) ARE FREE OF VIRUSES OR OTHER HARMFUL COMPONENTS; THEREFORE, YOU SHOULD USE INDUSTRY-RECOGNISED SOFTWARE TO DETECT AND DISINFECT VIRUSES FROM ANY DOWNLOAD OR USE OF THE SITE. YOU WAIVE AND COVENANT NOT TO ASSERT ANY CLAIMS OR ALLEGATIONS OF ANY NATURE WHATSOEVER AGAINST UBOOKR, ITS AFFILIATES, OR THEIR RESPECTIVE DIRECTORS, OFFICERS, EMPLOYEES OR AGENTS ARISING OUT OF OR IN ANY WAY RELATING TO YOUR USE OF THE SITE, THE SERVICES, THE CONTENT OR THE MATERIALS CONTAINED IN OR ACCESSIBLE THROUGH THE SITE, INCLUDING, WITHOUT LIMITATION, ANY CLAIMS OR ALLEGATIONS RELATING TO THE ALLEGED INFRINGEMENT OF PROPRIETARY RIGHTS, ALLEGED INACCURACY OF SITE CONTENT, OR ALLEGATIONS THAT UBOOKR HAS OR SHOULD INDEMNIFY, DEFEND OR HOLD HARMLESS YOU OR ANY THIRD PARTY FROM ANY CLAIM OR ALLEGATION ARISING FROM YOUR USE OR OTHER EXPLOITATION OF THE SITE. YOU USE THE SITE AT YOUR OWN RISK. WITHOUT LIMITATION OF THE FOREGOING, NEITHER UBOOKR NOR ANY PARTIES PROVIDING SITE CONTENT SHALL BE LIABLE FOR ANY DIRECT, SPECIAL, INDIRECT OR CONSEQUENTIAL DAMAGES, OR ANY OTHER DAMAGES OF ANY KIND, INCLUDING BUT NOT LIMITED TO LOSS OF USE, LOSS OF PROFITS OR LOSS OF DATA, WHETHER IN AN ACTION IN CONTRACT, TORT (INCLUDING BUT NOT LIMITED TO NEGLIGENCE) OR OTHERWISE, ARISING OUT OF OR IN ANY WAY CONNECTED WITH THE USE OF THE SITE, THE SERVICES, THE CONTENT OR THE MATERIALS CONTAINED IN OR ACCESSIBLE THROUGH THE SITE, INCLUDING WITHOUT LIMITATION ANY DAMAGES CAUSED BY OR RESULTING FROM YOUR RELIANCE ON ANY SITE CONTENT OR OTHER INFORMATION OBTAINED FROM UBOOKR OR ACCESSIBLE VIA THE SITE, OR THAT RESULT FROM MISTAKES, ERRORS, OMISSIONS, INTERRUPTIONS, DELETION OF FILES OR EMAIL, DEFECTS, VIRUSES, DELAYS IN OPERATION OR TRANSMISSION OR ANY FAILURE OF PERFORMANCE, WHETHER OR NOT RESULTING FROM ACTS OF GOD, COMMUNICATIONS FAILURE, THEFT, DESTRUCTION OR UNAUTHORISED ACCESS TO UBOOKR’S RECORDS, PROGRAMS OR SERVICES. IN NO EVENT SHALL THE AGGREGATE LIABILITY OF UBOOKR, WHETHER IN CONTRACT, WARRANTY, TORT (INCLUDING NEGLIGENCE, WHETHER ACTIVE, PASSIVE OR IMPUTED), PRODUCT LIABILITY, STRICT LIABILITY OR OTHER THEORY, ARISING OUT OF OR RELATING TO THE USE OF THE SITE EXCEED ANY COMPENSATION YOU PAY, IF ANY, TO UBOOKR FOR ACCESS TO OR USE OF THE SITE. BECAUSE SOME STATES/JURISDICTIONS DO NOT ALLOW THE EXCLUSION OR LIMITATION OF LIABILITY FOR CONSEQUENTIAL OR INCIDENTAL DAMAGES, SOME OF THE ABOVE LIMITATIONS MAY NOT APPLY TO YOU. TO THE EXTENT ANY STATE OR OTHER JURISDICTION PROHIBITS THE EXCLUSION OF WARRANTIES OR GUARANTEES OR THE LIMITATION OF LIABILITY AS CONTEMPLATED IN THESE TERMS, NOTHING IN THESE TERMS WILL BE READ AS APPLYING TO THE RELEVANT WARRANTIES OR GUARANTEES THAT CANNOT BE EXCLUDED OR LIABILITY THAT CANNOT BE LIMITED. The Site (excluding Third Party Sites) is controlled by Ubookr Pty Ltd and operated by Ubookr Pty Ltd from its offices in and around Sydney, Australia. While Ubookr has made no effort to publish the Site elsewhere, the Site is accessible in all states of Australia and in other countries. You and Ubookr both benefit from establishing a predictable legal environment in regard to the Site. Therefore, you and Ubookr explicitly agree that all disputes, claims or other matters arising from or relating to your use of the Site will be governed by the laws of New South Wales, Australia, without regard to its conflicts of law principles. You agree that all claims you may have against Ubookr Pty Ltd arising from or relating to the Site will be heard and resolved in a court of competent subject matter jurisdiction located in New South Wales, Australia. You consent to the personal jurisdiction of such courts over you, stipulate to the fairness and convenience of proceeding in such courts, and covenant not to assert any objection to proceeding in such courts. If you choose to access the Site from locations other than in New South Wales, Australia, you will be responsible for compliance with all local laws of such other jurisdiction. Notwithstanding any provision of these Site Terms, Ubookr reserves the right, without notice and in its sole discretion, without any notice or liability to you, to (a) terminate your license to use the Site, or any portion thereof; (b) block or prevent your future access to and use of all or any portion of the Site, Site Content or Services; (c) change, suspend or discontinue any aspect of the Site, Content or Services; and (d) impose limits on the Site, Content or Services. Ubookr uses the Merchant Warrior payment gateway for its online credit card transactions. No user credit card data is stored by Ubookr directly. Merchant Warrior is accredited Level 1 PCI compliant and process online credit card transactions for thousands of Australian merchants, providing a safe and secure means of collecting payments via the Internet. All online credit card transactions performed on this site using the Merchant Warrior payment gateway are secured payments. Securus Global and McAfee Secure have been chosen by Merchant Warrior to provide security and auditing services that aid in the protection of any customer data that is stored.